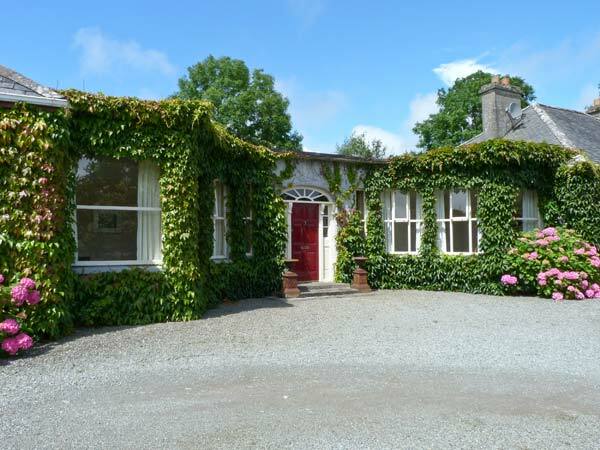 Sutton House is situated on the outskirts of the popular coastal town of Westport, County Mayo. 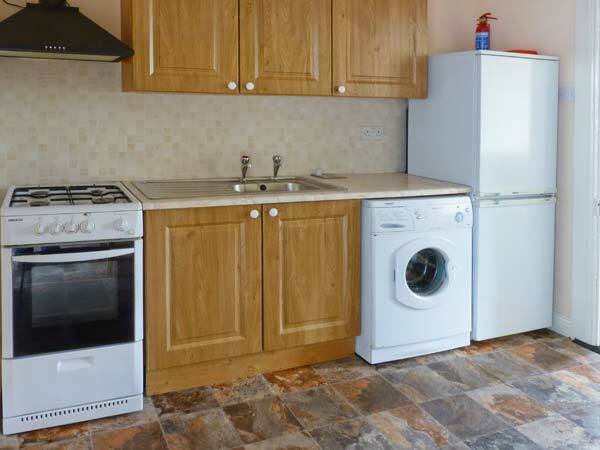 This terraced cottage sleeps two people and has one double bedroom with an en-suite, a fitted kitchen with dining area and a sitting room with an electric fire. 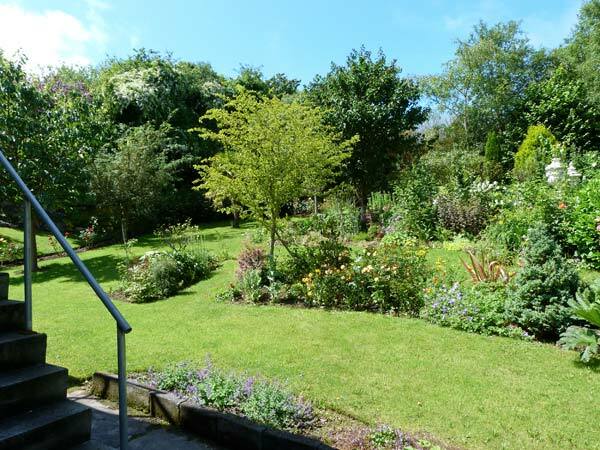 Outside the cottage benefits from off road parking for two cars and a shared lawned garden to the rear. With Croagh Patrick Mountain nearby and fantastic walking and cycling opportunities, Sutton House is a lovely setting for exploring Ireland. Quay Cottage is a charming restaurant that oozes charm and appeal from the homely decor, exposed beams and rafters and nautical theme, soft lighting all creating a calm and tranquil atmosphere. The importance here is on the best of Irish cuisine with considerable French influences, to create an interesting and innovative menu. A large emphasis is on using the best of the local seafood but, there are plenty of other options available for meat lovers. The staff are friendly and attentive and more than happy to make recommendations from the menu and wine list. When you dine at Quay Cottage you are awarded with fantastic food that is expertly cooked, great service and real value for money all in a lovely location. The Helm Restaurant has long been a popular spot for locals and visitors to the Clew Bay area, it is a fixture in the area and a must if you visiting here. The bar is energetic and vibrant and has many story's to be relayed over a pint, it oozes olde world charm and warmth and friendliness. It attracts people from all walks of life so you will always get an interesting mix of patrons here. The restaurant is probably the best seafood restaurant on this side of the country obtaining the fish from the local fishermen. You are assured quality and freshness when you dine here. The kitchen then uses its flair to create a range of delicious dishes to showcase the best of Irish produce. They consistently produce great quality food that is really good value for money. Great food coupled with the warm and inviting atmosphere, nightly entertainment and hospitable staff create a wonderful dining experience. The Pantry and Corkscrew is well known in Westport as the place to go for a coffee and a chat. When you step through the doors you are entering a place of relaxation and calm, it is has a nice homely feel from the gingham tablecloths to the carefully placed pictures and ornaments. The staff are friendly and jovial and the customer service is very good. The prominence at The Pantry and Corkscrew is using the finest of local and seasonal ingredients to create a varying and interesting menu. When you eat here you are getting dishes that have been prepared fresh that day in the kitchens and these qualities shine through in the food that is served. Everything tastes and looks so good it is hard to choose but you won't be disappointed with your choice as everything is guaranteed to be delicious. The Pantry and Corkscrew caters to all occasions and party sizes and you will leave contented and appreciative of your decision to eat here. Sage Restaurant is a lovely warm and cosy eatery that offers diners a casual dining experience. It is fast becoming known on the restaurant scene for the fabulous dishes they serve. The chef has an affinity with food and believes in using only the finest local and seasonal ingredients to create a range of mouth watering and truly delectable dishes. Freshness as well as passion is the real motivation here, with everything being made fresh in the kitchens and all meals cooked to order. The talent and creativity of the chef is immediately evident, the aromas that come from the kitchen are divine and the food is perfectly prepared, cooked and presented, he makes it all seem so easy. Each dish is delectable and heavenly and the quality is consistently good as well as offering true value for money. Sage Restaurant is the perfect place to come for a thoroughly enjoyable meal in lovely surroundings, accompanied by great wine, service and staff. Madden's Bistro is located within the attractive and stylish Clew Bay Hotel. This contemporary and stylish bistro has a lively and energetic vibe, offering casual dining and is a popular eatery in the area. It is open from lunch throughout the day and is proud to serve all Irish ingredients that where possible have sourced them from local suppliers. The result is a menu that showcases the best of Irish cuisine with some continental touches. The truth is in the tasting and boy is everything good from the healthy and wholesome soups and salads to their renowned fish and chips to great steaks and tasty pastas and curries. Madden's offers truly great food in a warm and welcoming atmosphere with friendly staff and great service, it is an ideal venue. Temptations Restaurant is situated in the lovely and charming Mill Times Hotel in the centre of the town. The decor is warm and inviting and the atmosphere is cosy and welcoming and offers you a relaxed and casual dining experience. The customer service is very good, the staff are hospitable and jovial. There is an emphasis here on using the best of local seasonal produce in creating the dishes on the menu with a particular significance on the local seafood. The menu is creative and innovative and demonstrates all that is great about Irish cuisine. There is a global wine list to choose from, that will complement any choice from the menu. Temptations Restaurant creates the ideal environment whatever the occasion, the food, staff, service and value are all commendable. JJ O'Malleys Bar and Restaurant is well known in the area and enjoys a prime location in the town. This traditional bar has a lively and energetic vibe, with friendly and hospitable staff. During the week you will find local musicians playing traditional music and at the weekends a DJ takes over to lift the tempo. The restaurant offers casual dining in warm surroundings, the menu is extensive and has a great choice of creative and individual dishes. You will find everything on the menu from soups and salads to steaks and fajitas, pizza and pasta dishes and much much more. The food is really good, the portions are more than adequate and offer value for money. A great stop for all round entertainment with food, drink and music in a friendly and welcoming environment. The award winning An Port Mor is a stylish and elegant restaurant with many fine features, it has a tranquil and serene atmosphere and offers informal dining. The staff are friendly and attentive and the customer service very good. The principle here is to get back to basics and use the best of local, seasonal ingredients and Artisan producers to create a menu that celebrates Irish food. The resulting menu is creative and inventive and has many delights including slow cooked pork belly, 21 day dry steaks, trout, scallops and much more. Every dish is prepared and cooked to perfection, the aromas and tastes are divine and leave you wanting to return again. To accompany your meal is a comprehensive wine list and the desserts are definitely worth trying, they are sweet, delicious and heavenly. An Port Mor is the place to come for a memorable and enjoyable meal in delightful surroundings that offers real value for money. Torrino's is a classic Italian restaurant offering you a true Italian experience, this quaint and intimate bistro has been popular with locals and guests for a long time. The decor is clean with its muted colours and soft lighting, the atmosphere is warm and inviting and the staff are friendly and hospitable. Torrino's offers a casual dining experience where you can relax and thoroughly enjoy your meal. They use the finest ingredients that can be found locally and import direct from Italy top quality, pastas, cured meats and wines. The food is excellent and whatever you choose you will not be disappointed, the pasta, pizzas, seafood and meat dishes are all so good, they smell divine and taste equally as good. Torrino's is the only place to come for a genuine Italian meal in warm and friendly surroundings. The West Bar and Restaurant has been connected with exceptional food and welcoming reception to its patrons for a considerable time and continues to be a popular venue with both locals and visitors. A visit to this warm and inviting eatery will reward you with terrific food, awesome customer service all in a lovely riverside setting. They use quality local sourced ingredients to create their award winning menu and a definite to have here is the infamous Clew Bay Seafood Chowder, heaven in a bowl. You are assured a warm welcome. excellent home cooked and delicious food that is great value for money when you dine at The West Bar and Restaurant. The elegant and luxurious Restaurant Merlot is located in the stylish Westport Plaza Hotel. This fine dining restaurant offers a tranquil and relaxing ambience where you can enjoy the attentive staff and first rate customer service. The menu is a wonderful combination of Irish and European cuisine, resulting in a creative and cultured menu with dishes to cater to all palates. The preparation, cooking and presentation is all executed to perfection by the talented and dedicated kitchen staff. Everything is visually pleasing, the aromas are appetising and the food is exquisite and luscious. Restaurant Merlot provides a special and memorable dining experience and is definitely worth a visit. The highly acclaimed Orchard Restaurant is located within the luxurious and elegant Castlecourt Hotel, it is a refined and elegant dining room offering informal dining in a relaxed and intimate ambience. The prominence here is on a unique blend of Irish and Continental flavours that results in a creative and interesting menu that showcases the talent of the chef and the best of Irish produce. The food is superb and perfectly executed, everything is cooked to perfection and perfectly balanced with flavours, and the presentation is impeccable. This excellence continues through to the customer service which, is exemplary and the waiting staff are attentive and friendly. The Orchard is a first class dining establishment suited to any occasion and will leave a lasting and pleasant impression on its diners. La Fougere is the highly acclaimed and renowned restaurant located within the stylish and elegant Knockranny House Hotel. This splendid and sophisticated restaurant has a lovely bright and airy decor that creates a calm and tranquil dining experience. Offering an informal dining experience that showcases the best of Irish cuisine along with an impressive wine list. The prominence here is on using the highest quality ingredients from local suppliers to create a menu that is innovative and creative. The talent and passion of the chefs is evident once the food is served everything is executed to perfection, from preparation, cooking and presentation, it is faultless. La Fougere is the only place to come for a thoroughly memorable dining experience that will leave you talking about your experience for a long time. The Tavern Bar enjoys an enviable location in the picturesque village of Murrisk. This warm and hospitable restaurant extends a friendly invite to all its patrons. The warmth continues inside with its homely and cosy decor with open fires, unusual antiques and comfortable surroundings. The customer service is first rate and this remains throughout, the chef has a passion and enthusiasm for food and has created a menu that is impressive. Using fresh and seasonal local produce that has been carefully sourced to ensure the finest of ingredients, these are then transformed into a wonderful array of dishes that are home cooked, delicious and great value for money. The speciality here is seafood got direct from the local fishermen but, everything tastes so good. The Tavern Bar and Restaurant is the ideal venue for a memorable and throughly enjoyable meal. With a prime location amongst many sandy beaches and mountains, it has the vistas to compliment the great food on offer. A delightful establishment that provides unsurpassed food in a relaxed and inviting atmosphere. A combination of great ingredients, some secrets from the chef and a complimenting wine list it all adds up to a great dining experience. Hudsons Pantry has many dedicated patrons and rightly so, it will be evident once you have visited yourself why it is so popular. Harlequin Restaurant is located in the eloquent and stylish Harlequin Hotel. This fine dining restaurant offers informal dining in graceful surroundings with a tranquil and serene atmosphere. The staff are friendly and courteous and the setting is lovely. When you dine here you are assured the finest in Irish cuisine, the expert chefs use the best quality local and seasonal produce to create a menu that is inspiring and inventive. Everything from preparation, cooking and presentation is perfect, the food is delicious full of flavours and perfectly balanced with seasoning and cooked to perfection. A specially selected bottle of wine will further enhance your dining experience. Whatever the occasion Harlequin Restaurant will exceed your expectations and give you a memorable dining experience. The accredited Bosh Bar is a contemporary and stylish bar and restaurant, that is popular with both locals and visitors to the area. The decor is warm, it has a cordial and jovial staff and a bustling and vibrant atmosphere. The menu is extensive with many of the usual favourites but, done with their own individual touches. There are sandwiches, burgers, steaks, salads, pastas, stir fries and much more. The portions are generous and offer great value for money. There is a choice of wine to accompany your meal as well as an amazing cocktail menu. The Bosh Bar is the place to come for a great night of fun and food. Cafe Rua is a family run eatery that specialises in using the best of locally found seasonal produce to create simple but tasty and wholesome dishes. The aim here is to showcase the cream of Irish produce and this is certainly achieved. The food speaks for itself with daily specials, homemade wholesome and nutritious soups, fresh and delicious salads, tasty sandwiches and appetising hot meals, there is a dish to appeal to all tastes. To follow there is a choice of hot puddings or favourites like brownies, apple pies or cream cakes. Come hungry as the portions are ample and offer great value for money. Cafe Rua is a delightful eatery with fabulous food and a warm and inviting atmosphere. Bar One is a well recognised Gastro pub that serves excellent pub food in a vibrant and energetic setting. The venue is contemporary and the decor is warm and inviting, the staff are cordial and jovial. The aim here is to give customers a memorable experience through service, food and environment that will leave them wanting to return. They are certainly on the right track the staff are lovely and service is great, the food is faultless. The menu is extensive and has loads to choose from such as soups, salads, wings, cheese boards, a selection of curries, favourites and traditional dishes like bangers and mash, stews, fish and chips, burgers, pizzas and much more. The portion sizes are generous and offer great value for money. There are some fantastic wines and craft beers to accompany your meal. In addition there is a tempting selection of desserts that are hard to refuse. Bar One is a great venue to come for a drink and food in a pleasant environment or to enjoy the live entertainment that takes place on a Friday and Saturday. Seasons is located in the centre of Castlebar and is a welcome addition to the restaurant scene. This bright and contemporary restaurant has a friendly and welcoming vibe and offers a casual dining experience. The staff are jovial and helpful and the food is very good. Predominantly Irish but with worldwide influences you are awarded a range of dishes that are tasty and delectable. Using fresh and local seasonal produce the creative chefs have produced a menu with a lot of traditional favourites but with their own unique touches that make them their own. The care and attention given to the sourcing, preparation, cooking and presentation of the food is immediately evident and you will be delighted with the flavours and finesse of the dishes. A delightful venue with fabulous food, great staff and atmosphere. Burkes Bar and Restaurant is a situated in a lovely location with commanding views of the spectacular surroundings of Mount Gable and the enclosing hills, that can be enjoyed from the restaurant balcony. This family committed establishment caters for all tastes with a variety of dishes from meat, to fish and duck that are all prepared with care and attention using the finest of ingredients. The breads and scones they serve are all home baked. With fabulous views and great food it is the perfect place to stop for a bite to eat. Poachers Restaurant is located in the contemporary and stylish Mayfly Hotel, this smart and elegant restaurant offers informal dining in a relaxed and welcoming atmosphere. They cook all dishes fresh in the kitchen so you are assured quality and freshness when you dine here. They have a special 3 course menu that offers great value for money but the prices here are reasonable. The food is cooked to perfection and is bursting with flavours and taste and the presentation is lovely too. So whether it is a relaxing meal with family or a quick lunch with friends you are assured great food and service in Poacher's Restaurant. Gielty's Restaurant is well known for its fine food and live traditional music sessions. 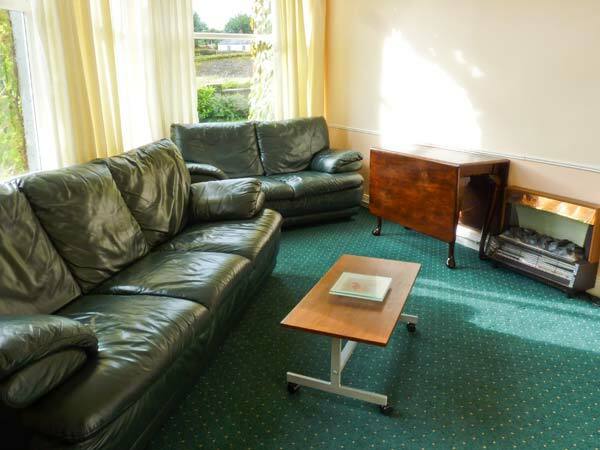 You are assured the renowned Irish welcome as enter these premises and it is a favourite with both locals and visitors. With a menu that sources and uses local produce you are assured fresh and fantastic tasting food, in an inviting and relaxed atmosphere. The food specialty here is fish and seafood but, there is plenty more on the menu to cater to all tastes. If you fancy a light bite you can visit the coffee shop where you can enjoy the vistas of Clew Bay and Islands Clare. Paddy Jordan's is a traditional pub and more, it is also a provider of great food and entertainment. It is a bustling and energetic bar with a warm and friendly atmosphere, the staff are lovely and the customer service second to none. They strive to provide unparalleled service and food and manage to do this without any trouble. The menu is extensive with lots of the usual favourites and more to choose from. The food is consistently good, well cooked, flavoured and presented and service is prompt, the portions are large and offer great value for money. Paddy Jordan's is a popular spot with both locals and visitors and it is easy to see why, a lovely pub with a super atmosphere. The Dock Bar is located in the elegant and stylish Courthouse Inn, it is lively and energetic and a popular location with both locals and visitors. They serve a great choice of homemade food throughout the day and there is something on the menu to appeal to everyone. The food is very good here, well cooked and presented and the portions are a good size and offer real value for money. Customer service is also really good, the staff are friendly and attentive. The Dock Bar is a lovely venue for a nice meal and with weekend entertainment it is the perfect spot for a night out. Heifer and Hen Cafe is a stylish and elegant restaurant that has a philosophy for complete traceability on all ingredients they use. All meat and vegetables etc are got from local suppliers and all breads, cakes, salads and hot foods are cooked and baked in their kitchens using the finest quality ingredients. They offer a relaxed dining experience in warm and welcoming surroundings and the food they serve is superb, perfectly cooked and presented to allow you to fully enjoy the delights on offer. They offer an early bird menu that is great value for money and the accompanying wine list is impressive with a bottle to suit all tastes and budgets. When you dine at the Heifer and Hen Cafe you are rewarded with great food, service and value and a memorable and enjoyable dining experience. The Everest Restaurant promotes genuine Indian and Nepalese cuisine in a stylish and elegant dining room. The decor is bright and the atmosphere is warm and welcoming with friendly and helpful staff, and the customer service is superb. All dishes are made in house using authentic ingredients, their own individual recipes and a subtle mix of spices and herbs to create a range of dishes that are flavourful and delectable. All of their dishes are perfectly balanced in flavour and spiciness and you will be more than happy with whatever you choose. When you dine at The Everest you are assured great food, service and value in a lovely relaxed environment. The highly acclaimed Market Kitchen has a prime location with lovely vistas of the River Moy. This stylish and elegant restaurant offers casual dining in a relaxed and welcoming atmosphere. The staff are jovial and attentive and the customer service is excellent. The kitchen only uses fresh, local and seasonal produce and the talented chefs show their creativity and skill by transforming these raw ingredients into a selection of dishes that are both tantalising and luscious. Each and every dish is cooked to perfection and perfectly seasoned to allow the full flavours to shine through. The Market Kitchen is a lovely chic restaurant offering first class food and service at prices that are great value. Bar Square is a stylish and contemporary venue that provides food, drink and entertainment in abundance. The lively and bustling atmosphere ensures that all patrons have a fantastic time whether they come for the food, drink, entertainment or it all! The food is all freshly cooked to order and is delicious, everything is well prepared, cooked and presented and above all offers great value for money. At the weekends the party really kicks off with live entertainment in the form of DJ's and live music. Bar Square is the place to come for a wicked night out! You can expect good times and good food at Breathnachs Bar! This quaint bar and restaurant establishment located in County Galway offers a relaxing respite from a busy day of seeing Ireland. Savoury food is served with meeting accommodations offered in the upstairs rooms. Depending on when you arrive, you may be treated to live music courtesy of local artists. Dillon's Bar and Restaurant is located in a charming historic building that is full of character and warmth. They offer relaxed and casual dining with great customer service. The philosophy here is to provide quality food at affordable prices and this is easily achieved every time. The menu is creative and interesting with lots to choose from and there is something to appeal to everyone here. All the dishes are carefully prepared, cooked and presented to ensure the customer the best dining experience. The dishes are tasty and wholesome. Dillon's is the ideal venue whatever the occasion whether it be a casual lunch or special get together with family. Renvyle Beach is a beautiful setting that offers a unique escape from the day. Home of the "white strand", a stretch of white coloured sand with breathtaking views of the glistening ocean, this is definitely a must-see for photographers. The area also includes the Renvyle House Hotel which is a historic landmark that accommodated many writers and poets of the past. The Great Western Greenway offers a collection of exciting attractions and outdoor activity options. Visitors can take a stroll through the gorgeous countryside, wander the sandy beaches or play a round of golf. A number of attractions are positioned in this area, including the National Museum, Westport House and Ceide Fields. The Letterkeen Loop Walk is an exciting journey that lets visitors get an up close look at Ireland. This challenging journey begins in Newport town. Adventurers will see many gorgeous natural land features including mountain tracks, river banks, forestry roads and sandy pathways. Hiking boots, water, rain gear and a mobile phone is recommended. Enjoy an up close view of Connemara with the Errislannan Riding Centre and Pony Stud. This facility offers German and French language options and includes a wide range of exciting treks on horseback. Children can sign up for ponycraft courses while groups and others can book a cross country adventure or private excursion. Enjoy Ireland's beauty the way it should be: on foot. Get closer to country's natural landscape with the Connemara Walking Centre. Three heritage walks are offered that guide visitors to destinations that offer the most exciting views as well as a way to access landmarks found in the local area. Drummindoo Stud located in County Mayo has been serving Irish horse owners and related businesses for more than five decades. Visitors can take an relaxing journey along Clew Bay on horseback. The facility also offers livery services and training to those who want to become better horse riders and handlers. Westport Golf Club can be found just outside of Westport town. Here players can savour beautiful natural scenery while they engage in a little exciting competition with friends, family or a group. The club includes a floodlit driving range, putting greens and access to buggy cars to make travel across the course easier. Discover adventure on horseback with the Carrowholly Stables and Trekking Centre! The facility offers an exciting collection of trail rides that include beach and wooded settings. Group and family outings are offered so everyone can make the journey across gorgeous Irish countryside. Get plenty of fresh air and beautiful scenery with Carrowholly Stables! 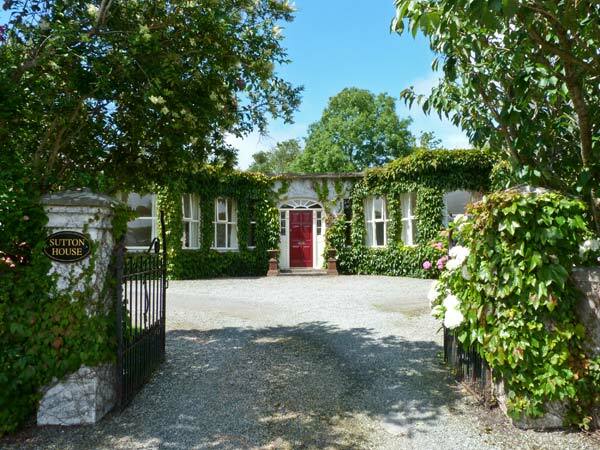 Feast your eyes on the idyllic setting that surrounds the Croagh Patrick Stables! This gorgeous location is positioned close to Berthra Beach. The variety of natural landscape provides plenty of unique trail riding options. The facility includes full sized sand arenas, up to 20 individual boxes and a five horse walker. See another side of Ireland with Scubadive West. Enjoy the serene world under the surface by diving into an aquatic world of wonder and wildlife! Instructional courses are available and include everything from introductory lessons to specialist qualifications. Diving gear, cameras and survival accessories is available at the Dive Shop. Experience the rush of sleek bodies and tight competition at the Ballinrobe Races! This facility earned the title of "Irish Racecourse of the Year" in 2012 because of its outstanding amenities and comfortable setting. Wander onto the balcony to get a better view of the action or sample the tasty tidbits provided by Lydon House Catering. Get a few rounds in at the Ballina Golf Club. The course was established in its current location in 1924. The elegant open space and beautiful buildings create the perfect atmosphere for relaxation and luxury. The grounds include an on-site bar and lounge area that overlooks the course as well as a restaurant. The Angling Advice Centre was founded by the Teirnan brothers, skilled fishermen who were born along the Moy river. They have spent much of their lives in this area and now share their knowledge with others who are passionate about fishing. The centre provides licences permits as well as boats, boatmen and Gillies. Calvey's Equestrian Centre can be found at Slievemore close to Keel village. This facility includes expert staff who specialise in horseback riding and related activities. Daily pony treks are offered and include a trip along Keel beach. More than 35,000 acres of commonage is accessible for roaming with aged bog roads to serve as a general guide. Clifden Sea Sports Centre is run by Damian Ward, an experienced sailor and teacher who has sailed and taught in the Mediterranean and the Caribbean, as well as in Ireland. Damian now offers yachting services in the West of Ireland including chartering, skippering and instruction as well as consulting on any yachting topic. Get out and experience nature at the Ballycroy National Park in County Mayo. Visitors can explore the park by travelling along the Bangor Trail. The region is home to a wide range of flora and fauna, including fox, badger, otter, mink, bat, pygmy shrew, deer grass, bell heather, lichen and butterwort. 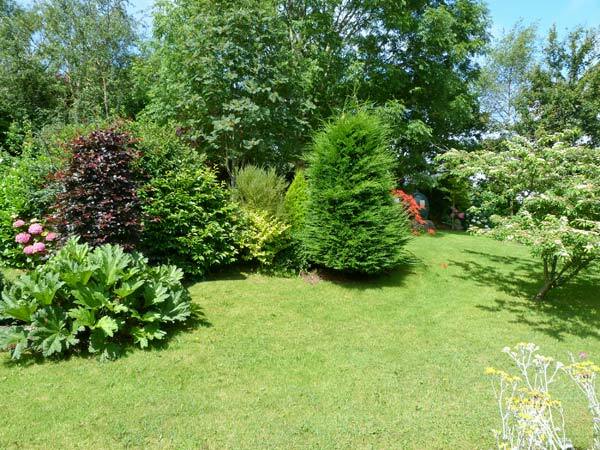 The Achill Secret Garden is a gorgeous greenscape positioned near the Atlantic coast. This attraction is hidden within a tiny bay right on Achill Island. Covering approximately 3 acres of lush land, the garden features mature trees and colourful elements that are complemented by the natural wildlife thriving in the area. The Westport House and Gardens offers breathtaking scenery surrounding a gorgeous example of Irish history. After serving as the Browne family home for more than 300 years, the location was made publicly accessible in 1960. Visitors can experience one of the country's most gorgeous homes for themselves by taking a tour. Traditional music and and exciting real life story make the Legend of Grainne Mhaol a good time for all visitors! Each performance includes rich stage and costume designs and expert actors who tell the timeless tale of pirate queen Grace O'Malley, also known as Grainne Mhaol. Each all-ages show is presented inside the Hotel Westport. The Westport House and Pirate Adventure Park offers a fun combination of sights, sounds and activities. Over 4 million visitors have explored the grounds to learn more about their heritage and for a bit of adventure! The 18th century landmark house is considered the "jewel in the crown of the west". Travel aboard the Pirate Queen with the Clare Island Ferry Company! Owned and operated by Clare Island natives, this ferry service has been utilised since the 1880s. The boat can handle up to 96 passengers and four crew and includes a heated lounge as well as a breezy upper sun deck. Mayo Memorial Peace Park is an important national landmark that honours those who have fallen for their country. Many come to this serene location to remember lost loved ones while others tour the grounds to show their respects for the valiant actions of the many who gave their lives for peace. Make sure you buy your tickets for the Royal Theatre in Castlebar. The facility showcases an eclectic collection of performances that change regularly. Visitors also have multiple dining options including the cafe bar and Carvery which offers hot foods as well as the nearby Harlequin restaurant which serves dishes featuring locally grown produce. The Linenhall Arts Centre in County Mayo is an important cultural site that allows visitors to find inspiration and tap into their creativity. The facility often hosts local, national and international events. Rather than only seeing art pieces, visitors can actually participate in hands on activities to see what they can create and discover. The Killary Sheep Farm offers a beautiful overhead view of the Killary Fjord. The property is home to around 200 ewes and lambs which roam freely. Sheepdog demonstrations are hosted regularly as well as sheep sheering presentations. Guests can also learn about the traditional method of bog cutting, which is generally no longer in practise. Dog and animal lovers in Ireland will want to pay a visit to Joyce Country Sheepdogs! This family-run farm can be found in Connemara. Here, skilled sheepdogs ply their trade with the guidance of experienced owners. The farm is also home to many rams, sheep and donkeys. Sheepdog demonstrations are offered. The Sheep and Wool Centre provides information about one of Ireland's most popular resources. Explore the museum to learn more about how is transformed from the sheep's body covering to a useable knitting product. Visitors can browse the shop, which carries many high quality items from locally made jewellery, woollen products, sheep skins and crystal. Killary Adventure Centre will inject more adrenaline into your Irish holiday! The activities list is exciting, with everything from kayaking, surfing and power boating to Gaelforce events, mountain survival and much more. A variety of lessons are offered so you can hone your outdoor skills or book a hen or stag party! The Atlantic Drive on Achill Island is one of the most scenic settings you will see anywhere in the world. This breathtaking region showcases a length of coastline that is very remote. Get away from modern distractions while exploring a route that highlights the quieter side of Ireland. The island also offers pubs, bars and shopping. The Clonnamoyne Fishery is a unique attraction nestled along the north western shore of Lough Conn. Visitors can explore one of the "great fishing houses of Ireland". The facility includes a cosy lodge and small harbour which includes eight boats that are available for hire. A locked gate and private lane ensure that belongings and vehicles remain safe while guests go fishing throughout the day. Kiltimagh Pet Farm and Wildlife Park is an exciting attraction for visitors of any age. Meet many playful animals, including many exotic species. See Clydesdale horses, Connemara ponies, Degus, donkeys, Asian Palm civet, African Spurred tortoises, African pygmy goats, Bennetts wallabies, canaries, budgies, gerbils, hamsters, llamas, geese, guinea fowl, Patagonia Maras and many others! The Brazen Hussy Charter Boat is available to guide visitors to some of Ireland's most beautiful places. Take an island tour to see marine birds and other local wildlife in its natural habitat. The journey may include a glimpse of majestic whale, porpoise and dolphin species. Angling and scuba diving excursions are also available. Blackfield offers a diverse collection of attractions that are sure to please every visitor. The surf school provides instruction for those who want to experience adventure on the waves. A surf shop is also available so you can suit up before you head to the beach. The Clothing Studio shop sells everything from cosy fleece garments to hats and baby wraps. The Ronan Halpin Gallery showcases the exquisite work of this well educated artist.See unique pieces that feature a wide range of subjects with amazing detail and texture. A handful of charming furniture pieces are found on the floor or hanging on the walls as well as stunning creations that utilise electric lighting as part of the finished display. Fr. Peyton C.S.C. Memorial Centre is a popular museum in County Mayo. This charming facility is dedicated to one of Ireland's most famous priests. Visitors can learn of Fr. Peyton's life and work through presentations, photographs and other exhibits. The location is also used for prayer and religious reflection by pilgrims. Foxford Woollen Mills provides a luxurious shopping experience that includes some of the finest merchandise available. Shoppers can explore an enormous catalogue of expertly crafted rugs, throws, scarves, linens, bedding and baby items. Take a tour to see first hand how these quality Irish items are made. A gourmet cafe is also available. Ballina Arts Centre brings the local community another way to celebrate creativity and culture. The facility hosts many unique events that change regularly as well as guided tours. Along with intriguing exhibitions, the arts centre also hosts activities and events related to theatre, dance, film and literature as well as numerous workshops. The Ballina Angling Centre is available to provide information and services to fishermen staying in the area. The facility sells equipment, bait and tackle. Guided fishing expeditions are also offered with a number of other educational resources to assist newcomers as well as seasoned fishermen who want advice and further education. If you need a break from sightseeing and touring, then the Tom Ruane Park is an excellent choice for families. This tranquil stretch of green includes a fun playground for children as well as a convenient picnic area. Visitors can explore walking trails along the Moy River and enjoy the relaxed scenery. Pay a visit to the National Museum of Ireland, the country's premier cultural collection. Some of the greatest heritage artefacts are on display, including furniture, art decor and other important pieces. Explore the history of Ireland by getting closer to items that were actually there.Learn more through stories, facts and experiences at the museum! The Turlough Park House National Museum features a spacious expanse of park surrounding a gorgeous Victorian Gothic house. Constructed in 1865, the building includes three floors that are furnished to recreate the look of 1900s decor. 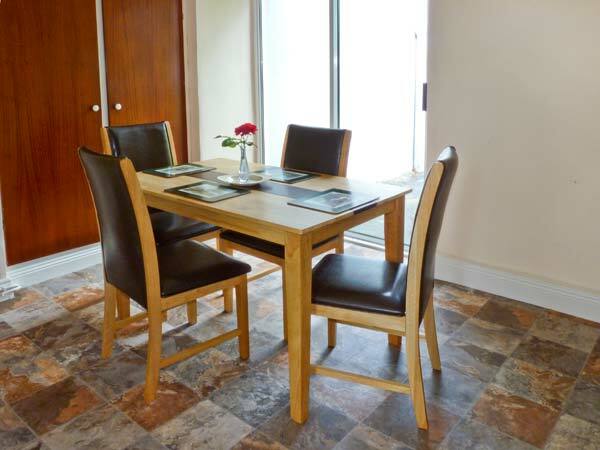 An attached stable block and kitchen are utilised as a convenient cafe and gift shop for guests to enjoy. The Addergoole Titanic Memorial Park commemorates the Titanic and the fourteen men and women of Addergoole who emigrated on it, eleven of whom died when the Titanic tragically sunk. The Addergoole Titanic Memorial Park contains a memorial for these brave men and women as well as being a beautiful place to for a quiet afternoon walk. Kylemore Abbey and Victorian Walled Garden is an enchanting place that looks as though it was taken right out of a fantasy storybook. The structure is absolutely breathtaking, especially once you enter the restored abbey interior. Find out more about the area's heritage and past while wandering the 6 acre Victorian Walled Garden. The North Mayo Family Heritage Centre can be found near Crossmolina. This landmark is an important attraction for anyone who wants to trace their family history deep down into its Irish roots. Visitors can learn more and work with knowledgeable staff who are on hand to provide advice and assistance. Dun Aengus, (or Dun Aonghasa), is the largest prehistoric stone fort on the Aran Islands. Commanding a fantastic view across the Atlantic ocean visitors can easily imagine how this fort, protected by multiple thick stone walls, dominated the area. There is a visitor centre and guided tours are available as well as a tearoom on site. The Knock Museum tells the story of the 1879 apparition of Mary, St Joseph and St. John the Evangelist at Knock which was seen by fifteen official witnesses. The museum tells the story of these fifteen people and features letters written by people healed of diseases at Knock as well as other stories from pilgrims and visitors. 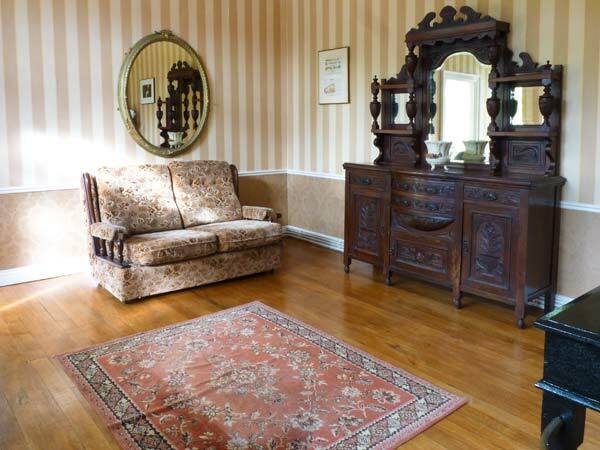 Connemara Heritage and History Centre includes a farmhouse bed and breakfast and an award-winning heritage centre. 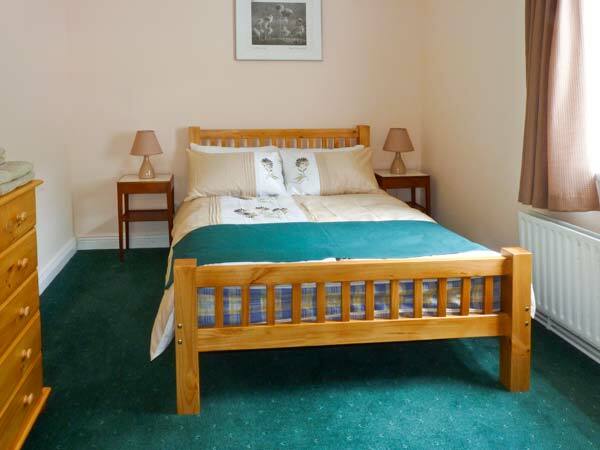 The farmhouse is an ideal base for staying at while exploring the local area. The heritage centre includes a history presentation, a reconstruction of a ring fort as well as a craft shop and restaurant. The Humbert Memorial was originally created to celebrate the 100th anniversary of the French landing at Killala which occurred in 1798. The original monument was relocated to its current position in 1987. Visitors can see the representation of Mother Ireland and read the inscription which speaks volumes for the memorial's purpose. Ballina, also referred to as the "Dolmen of the Four Maols", is a megalithic tomb found close to the railway line. The structure rests atop a grassy stretch and has long since lost its side stones. It is one of the largest of its kind and presents visitors with another way to experience ancient history in Ireland. Tir Saile, also known as the North Mayo Sculpture Trail, is Ireland's largest ever public arts project. The journey includes 14 sculptures placed along the northern Mayo coastline. An exhibition site is also accessible and features local sculptors as well as temporary exhibits. See the beautiful work of a group of creative individuals who came together to build something unique and special for their community! Hennigan's Heritage Centre aims to educate and entertain visitors with the history and heritage of the farmers living in the Mayo County area. Exhibits include a thatched cottage built in 1870 and displays teaching about the local Parish community and how it operated with a cobbler's shop, a collection of local artefacts and a display of agricultural implements. Rosserk Park is home to the Rosserk Friary which was established in the 1460s. Aside from being an important religious landmark, Rosserk is also a gorgeous setting with a beautiful bell tower and four light eastern window. Many elegant architectural elements can be seen inside and outside of this beloved structure.